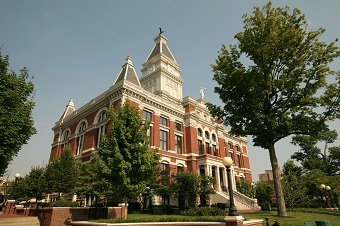 Known as "Tennessee's Top Spot" since 2008, Clarksville is a quintessential Southern city, located in the northern section of the state near the Kentucky border. With a population of over 50,000 people, it is one of the fastest growing cities in the United States. This lovely city is culturally rich with a prominent history and a bright future. It is the perfect destination for home buyers looking to either settle in a vibrant city or for those looking to raise a family. The numerous recreational activities, attractions, and events each have something to offer any resident. On January 16th 1748, the city of Clarksville was founded. The name is derived from U.S. Military General George Rogers Clark. The newly established town first thrived upon a blossoming tobacco trade. Industrial progress during the mid-1800 drove the town into rapid development, as the Clarksville-Hopkinsville Turnpike and a main railroad service were both built. Unfortunately, the civil war during late 1800's lead the town into a reconstruction period, where it also suffered from a great fire. After recovering and rebuilding a majority of the town, it was ready to face the 1900's with pride. The 1900's were golden years for Clarksville. Additions of a local theater, U.S. Fort Campbell, a major highway, and a hospital all lead to the town's rapid development into the beautiful city it is today. 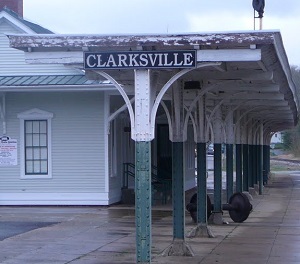 Fun Facts: Legend has it that the Monkees 1966 hit song "Last Train to Clarksville" was inspired by the Clarksville Train Station and a Ft. Campbell soldier heading home for a visit. Notable personalities with ties to Clarksville include Jimi Hendrix (former member of the 101st Airborne Division), musician Roy Acuff, Olympian Wilma Rudolph, and Tennessee Governor Austin Peay. For those who are interested in homes for sale or houses for rent, rest assured that your investment property is a great decision. Clarksville is a town that is bustling with stunning parks that are great for families and active individuals. One of the most famous parks in Clarksville is McGregor Park. With a 1 mile walking trail, picnic areas, a boat ramp to the nearby river, and bicycle routes, this park is perfect for individuals or families looking to experience the wonders of lush nature. The park also hosts a amphitheater for events and an open air pavilion. One of the most famous of Clarksville attractions, Beachaven Vineyards is a gorgeous venue where visitors can treat themselves to delicious homegrown wine and picturesque scenery. The winery offers guests informational tours in a warm and friendly atmosphere. Another option is Dunbar Cave State Park.This area offers visitors hiking trails, fishing, and an 8 mile long cave that is shown by tour. Since 2006, the cave has become a sensation after centuries old petroglyphswere discovered. This attraction is ideal for anyone going alone or with a family, as it is highly entertaining. The Roxy Regional Theatre has existed in some form since 1913. It was renovated in the 1980's and came to symbolize Downtown Clarksville's re-development. The Roxy hosts major national plays and performances, and was featured in the music video for Cheryl Crow's "All I Wanna Do." Residents of Clarksville are able to choose from dozens of events year around. Some of the most prominent events are Handmade Holidays, Christmas on the Cumberland, Swim with Santa, Christmas Parade, Special Needs Nights, Civil War Carbine Demo, and the 1950's photo exhibit. Every event is great for those who love to socialize at community events. Overall, if you are looking for a friendly city with a small town and historic feel, Clarksville is an excellent option. There are a number of apartment complexes and townhomes with great property management, and dozens of homes and investment properties for sale. Arrington and Associates Realty, 931-431-4200. We will assist your search and offer the latest information and deals on real estate. 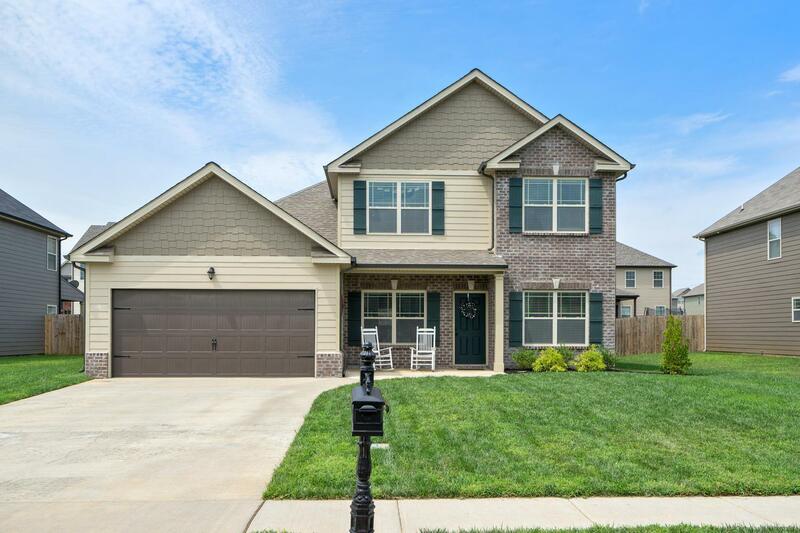 For information on Clarksville Homes for Sale, please submit an email below.